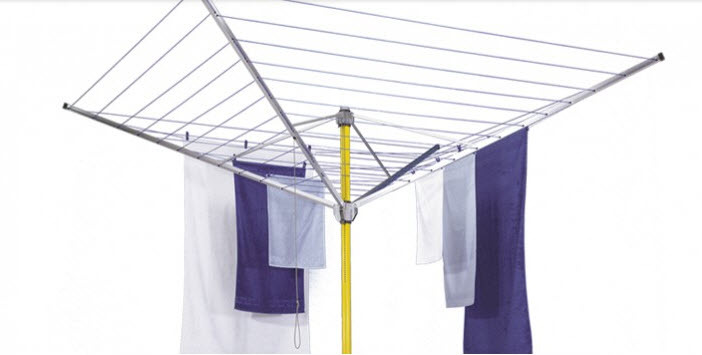 Stewi is a Swiss made clothesline company that makes some of the highest quality clotheslines on the market. All Stewi items are manufacturerd with top grade lightweight aluminum, and are backed by a 5 year gurantee. When first opening the box and assembling a Stewi item, it's easy to detect the feel of quality. All the parts feel solid, lightweight, and everything fits together seamlessly. It's evident a lot of care has gone into ensuring a top of the line, long lasting product. Their product line consists of rotary dryers, ceiling airers, wall mounted telescoping and retracatble, and foldable floor dryers. 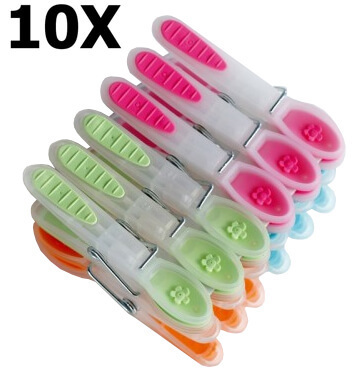 Stewi Soft Touch Clothespins Assorted Colors (QTY 10). Choose bright color package or black and white mix. Our most proven rotary dryer from Stewi provides a substantial 197 ft of drying space and boasts a sturdy all aluminum frame construction. 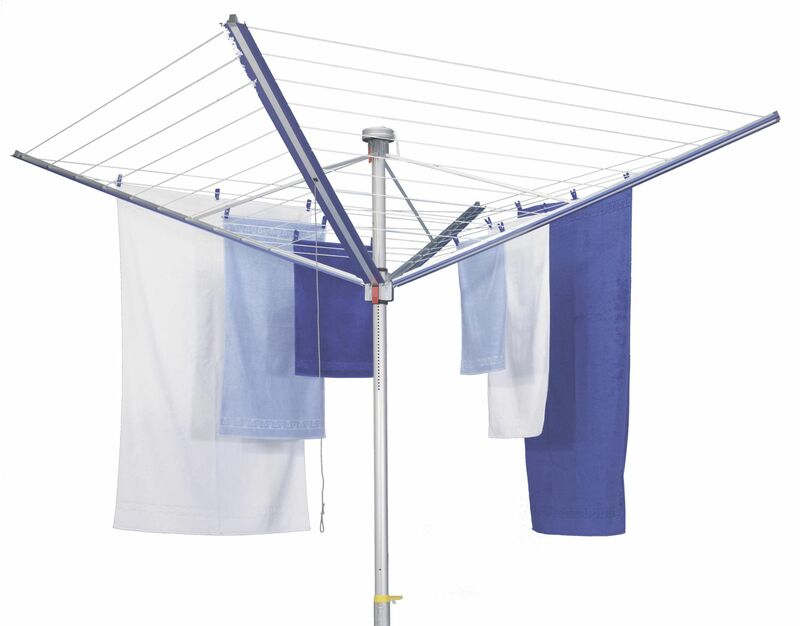 Stewi First Lady Rotary Clothes Dryer - Swiss Made! Swiss made, aluminium rotary dryer and clothesline with 200ft of drying line. 5 YEAR WARRANTY. 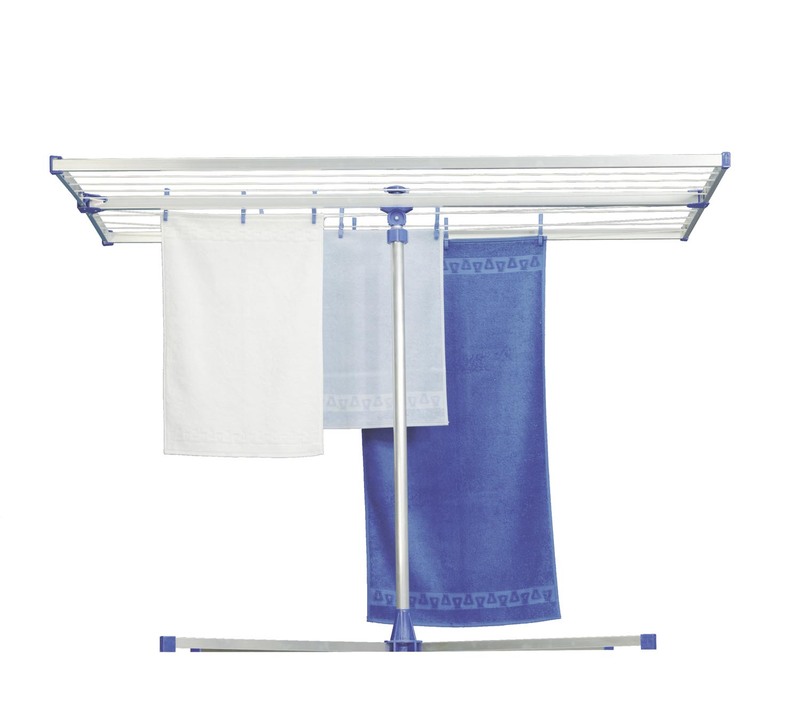 The Stewi Libelle Compact Laundry Rack is an easily customisable clothesline that can be suited to your laundry needs in a variety of ways. 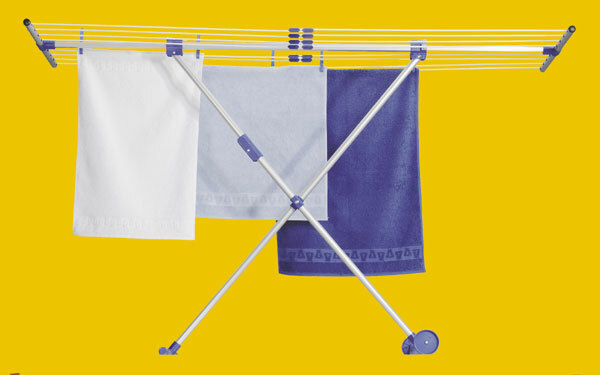 The adjustable height Libelle XL is like it's smaller cousin, the Libelle Compact. All aluminum frame construction makes it sturdy and light for easy mobility and storing. 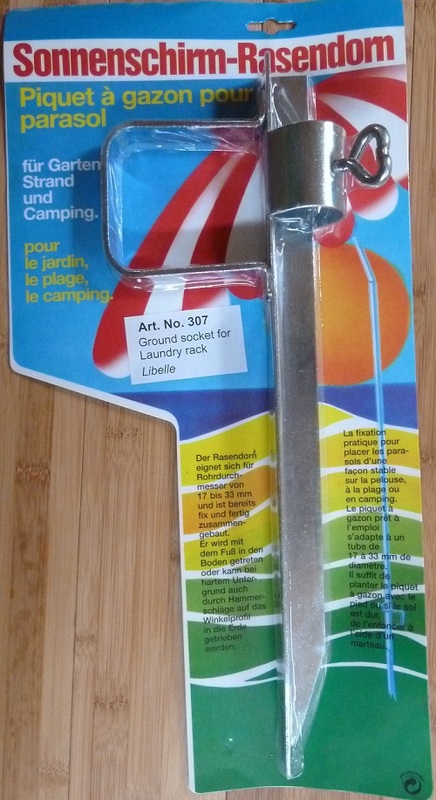 24 yards of drying space, and can be folded up into narrow pole shape. This Stewi ground socket is used with our First Lady rotary dryers. This socket can be driven directly into the soil and does not require any concrete which makes life easy when you want to relocate your dryer. You simply dig up the socket and drive it into its new location - not as simple with sockets fixed in concrete. This Stewi ground socket is used with our Stewi Libelle drying racks. 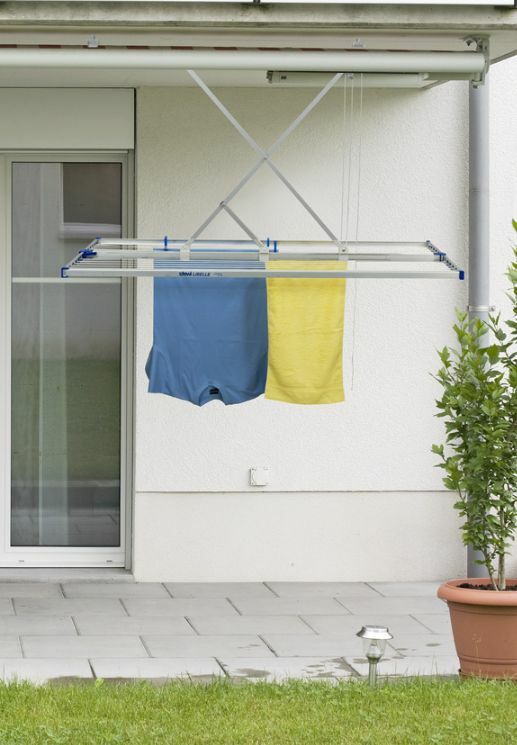 This socket enables you to use the Libelle indoor drying racks in the yard. It is driven directly into the soil and does not require any concrete which makes life easy when you want to relocate your dryer. You simply dig up the socket and drive it into its new location - not as simple with sockets fixed in concrete. 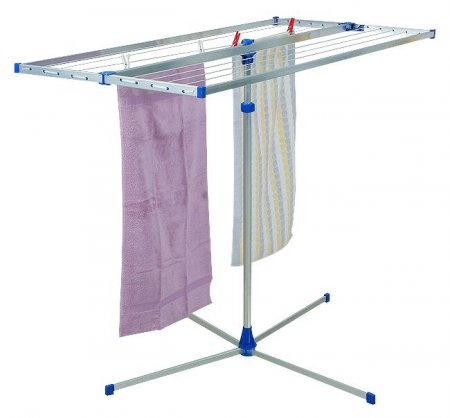 TOP SELLER Amazing Telescopic drying rack that is available in a range of sizes to meet the needs of today\'s living. 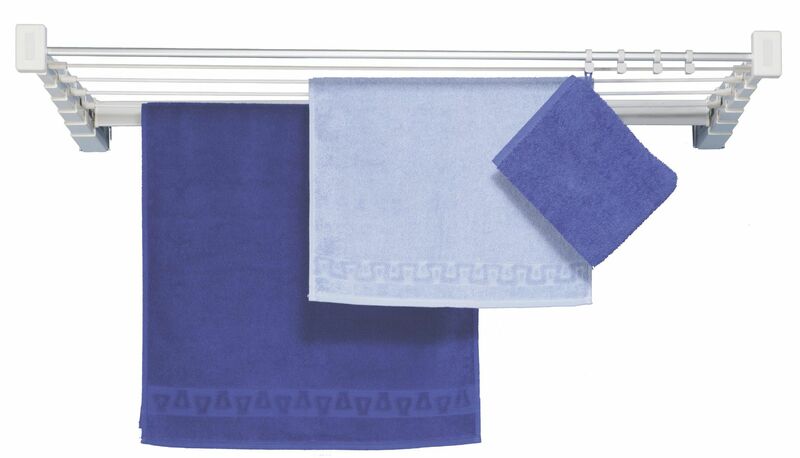 This product is Swiss made from high quality materials. TOP SELLER The Stewi Combi Maxi Universal Dryer is a lightweight laundry rack that\'s rollers make for easy mobility and convenience to the user. Very Popular. 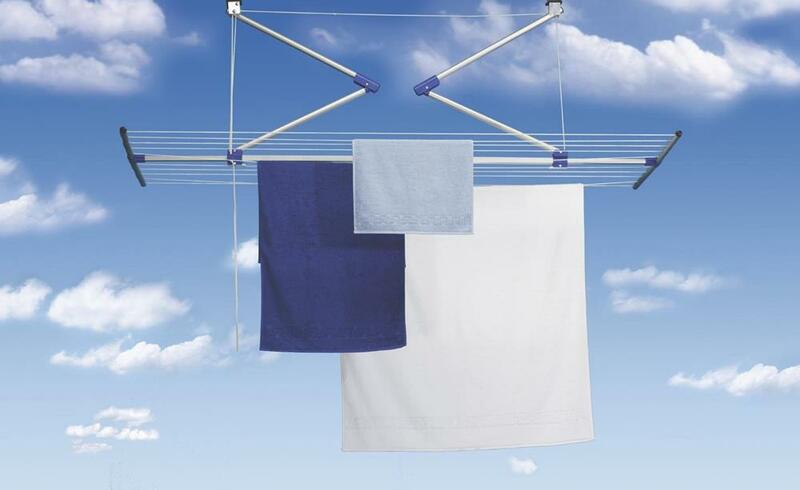 Stewi Lift Ceiling Clothes Dryer - Swiss Made! The DH Libelle is a new ceiling dryer developed by Stewi and holds a large 65 ft of drying space.